Aluminum is the most distributed metal on Earth. It can be found in your kitchen supplies, cookware, the water you drink as well as many foods, beverages, and pills. We are not even aware it is all over the place. 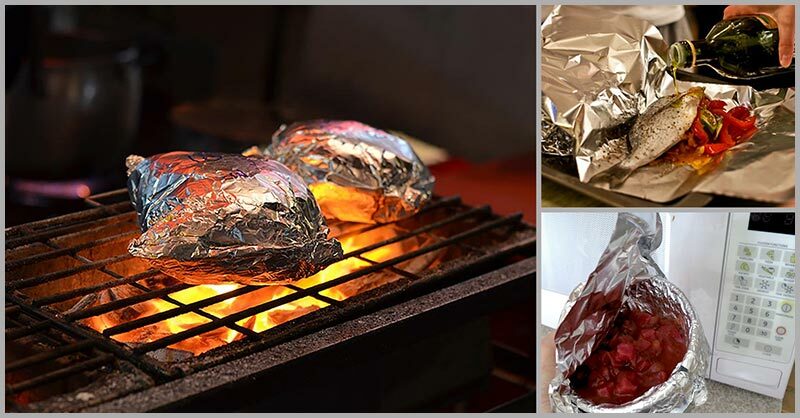 Often times, aluminum foil is being used for cooking. But did you know that it might be one of the biggest culprits for different illnesses? A study revealed that the foil is not nearly as safe as we think since the heavy metal can leak into our foods when heated. Researchers tested a variety of foods cooked and then reheated with aluminum foil and afterward, they discovered a lot of the heavy metal in the food. It should not be a problem if you eat a piece of meat with a bit of aluminum, however, considering how often you use aluminum foil when preparing a food, it can accumulate in your organs and tissues, thereby resulting to the development of different serious health problems. One of the leading authors of the study named Dr. Zubaidy stated that the higher the temperature during the cooking, the more aluminum ends up in the food. This means to say that it should not be used for food preparation at all. Researchers also found that the foil seems not to leech in food when not heated, thus making it suitable for wrapping cold foods. Aside from the heavy presence of aluminum in foods prepared with aluminum foil, various additives were also found in the metal. The problem is that our body doesn’t need aluminum at all – higher amounts of it can be very dangerous. Since the body doesn’t need aluminum, it doesn’t also know what to do with it. Though it will remove some, it will still accumulate over time in your organs which can cause a serious damage to your health. Research showed that aluminum can cause oxidative and toxic stress to the brain, which leads to the development of various neurological disorders such as epilepsy or ADD. Aside from accumulating in the brain, aluminum also builds up around the bone tissue, which results in an increased risk of osteoporosis. When you expose your brain to a lot of aluminum, it will eventually help the metal pass the blood-brain barrier and then accumulate in the different regions of your brain. Over time, it can cause toxic damage to the cells and will compete with other minerals the brain needs, leaving them to waste. During the early 2000s, aluminum exposure has been associated with a variety of central nervous system disorders and autism in children. A large number of children exposed to a high level of aluminum in water are suffering from autism, which links the metal to the disorder, Moreover, the metal has also been related to Lytico-bodig disease and Alzheimer’s disease in adults. We suggest that you entirely cut aluminum out of your diet to avoid the dangers it brings. Always choose and buy products that are aluminum free if you want yourself and your family healthy.